Patna is the city located on the bank of river Ganga. Lifesaver Air Ambulance has been serving the people in the city and nearby locations with the bed to bed patient transfer. 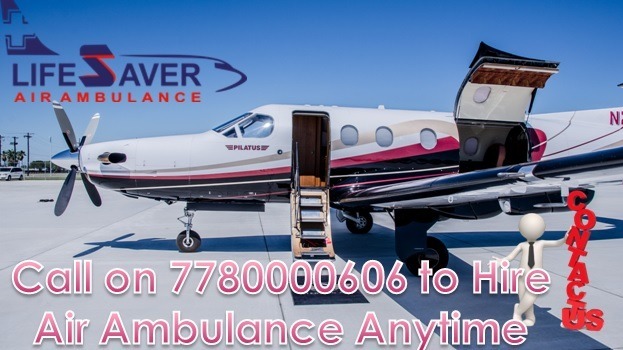 Now you can hire sagacious Air Ambulance from Patna by Lifesaver Air Ambulance with all the essential medical facilities onboard. We provide LTV ventilator, large volume oxygen cylinder, portable power supply and cardiac monitor etc., on our Air Ambulance in Patna and overall. As per requirement of the patient we have a complete range of ICU modules for them such as CCU, NICU, PICU, ITU, HDU, and IDM etc. Infectious Disease Module was introduced for the first time to transfer critical patients suffering from H1N1 Swine Flu virus, Bird Flu, Ebola and others. We have low-cost Air Ambulance from Patna to help your patient reach the distant health care center you want. Call our 24/7 live advisers to get all the information about Air Ambulance in Patna and other places too.